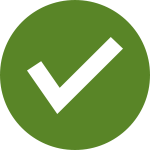 PolyCool has come and is fastly becoming one of the most trusted brands for Aussies. Living up to its name, its top of the line ice makers will surely impress you as they are easy to use, energy and water efficient as well as designed to produce different ice sizes in no time. Planning to hold cocktail parties and luncheons at your home? 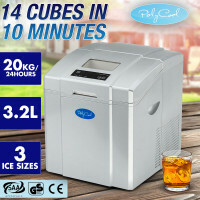 Worry no more because ice cubes will be ready in as fast as nine minutes to give you and your guests refreshing drinks to beat the summer days. Carry them with you in campings, picnics and other outdoor events. PolyCool Ice Makers are compact and portable. Durability will not be an issue since these are made from high quality materials and have features to ensure the safety of users such as a non-slip feet, LED control panel and viewing window, convenient drainage plug, ozone safe refrigerants as well as alarms to indicate water and ice levels. Choose from several options, this line comes in black, red, white and silver and has stunning contemporary design that will surely fit the classy style of Aussie homes. 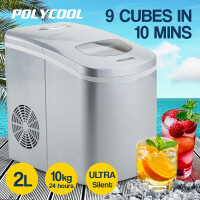 Suitable everywhere, PolyCool doesn’t just support your home needs, but also helps with your business demands as it offers an ice maker with a reliable compressor and is capable of producing up to 60kg in 24 hours. Make your life easier. Be the perfect home maker that you dream to be. Partner your ice maker with the other Mytopia Kitchen Appliances such as Air Fryers, Soup Makers, Blenders, Food Dehydrators, Induction Cookers, Ovens and much more. Boost the comfort that the ice makers could bring to your family. Avail Mytopia’s range of home appliances which include air purifiers, heaters and air conditioners. What’s more? PolyCool Ice Makers are offered with 12-month Australian warranty, ensuring consumers that they will have the best value for their money. Buy now and never run out of ice ever again!